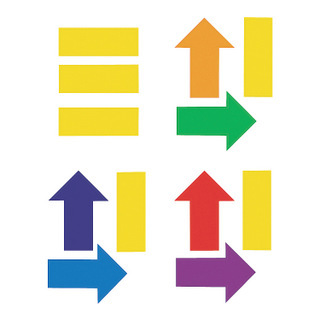 Wayfinding Floor Graphics and Why You Should Use Them! Our business customers will call us up every so often looking for one of a kind signs to help with promoting a new product or for wayfinding signage that is out of the ordinary. These clients typically want to grab attention, generate interest, and spark discussions in ways that standard markers are unable to achieve. 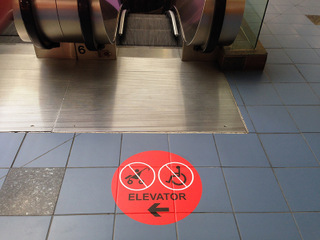 One of the unique ways that more organizations are providing directional cues and building their brand is with wayfinding floor graphics for Orlando. They are creative, novel, and fun – Floor graphics are not that common, which contributes to their novelty and effectiveness. The medium is already in place – You have already paid for the floor space in your venue. The expensive part is done. We can help you direct people with this canvas. More people are looking down – As you move from one place to another, you are likely looking down at your cell phone a lot to check Facebook, your emails, texts, or for other purposes. You are not alone. More consumers are using smart phones. Floor graphics are directly in their line of sight. Floor graphics are flexible, inexpensive, and simple to implement – Floor graphics are affordable enough to use as short term wayfinding signs during construction, yet they are heavy duty enough to also be used in the longer term. If you were a student back in the 1970s, your school may have painted stripes on the hallway walls to assist pupils in finding their classrooms or other amenities. This trend is coming back in style with wall graphics as well as floor graphics. 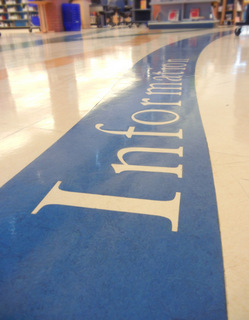 Whether you operate a school or large business, you can harness the power of floor graphics to point visitors to the most commonly searched for locales in your facility. The key is to make it look interesting. For instance, you can use the paw or footprints of your mascot to lead the way. Is it your first time exhibiting at an established trade show? Did they stick you in the back in a less than desirable spot? No problem! With vinyl floor graphics for Orlando strategically placed near the entrance of the venue, you can direct attendees to your booth and promote your brand. In addition, floor graphics can be used on just about any surface, including indoors on hard surfaces and carpeting as well as outdoors. And, Citrus Sign Studio has the technology to precisely match your company’s colors, fonts, and logos and render them on your floor graphics. Are you ready to get started? Contact us today for a free quote and consultation.